The rumor of elephants being frightened by mice is as old as time. It was used as a plot device in numerous movies and cartoons, and though it sounds ridiculous, there must be some truth to it. 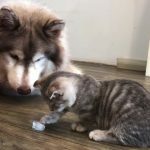 After all, larger animals are sometimes intimidated by their significantly smaller counterparts. Why should elephants be excluded from this rule? Don’t believe me? 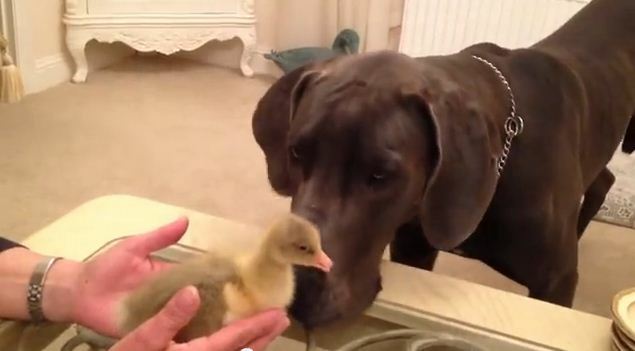 Watch what happens when this Great Dane comes face-to-face with a baby goose. Its priceless reaction will have you laughing for hours. The Great Dane probably weighs a hundred times as much as that little goose, but it is still very much freaked out by the little guy. This is what happens when you take animals out of nature; they don’t know how to handle meeting other animals.